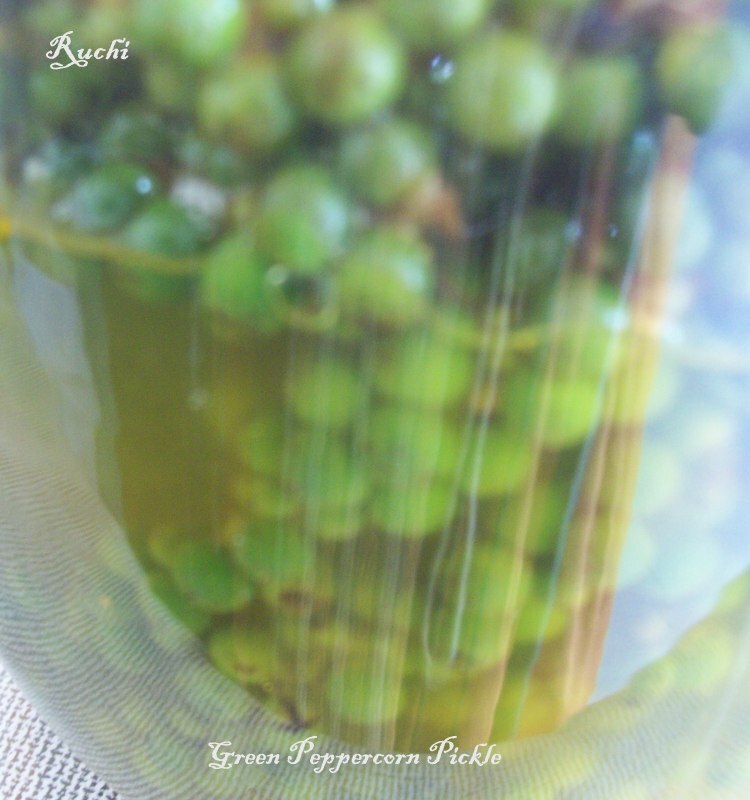 Green Peppercorn Pickle is one of my favorites. . Fresh green peppercorns are un-ripened form of black peppercorns. it’s rare to find fresh green pepper in the market but if you ever do please make this pickle! It looks very attractive .It’s unbelievably simple and easy to make. Last week, I saw this greenPeeper in market after so long years ..and made piclkle immediately.This pickle doesn’t have many dry spices .It’s fragrant with fresh lime and the blend of pepper and green chili flavors. It tastes the best when served with curd rice. 1. Boil two cups of water in a pan; when it starts boiling, add salt, turmeric powder; boil it for few more seconds; remove and allow it to cool completely. 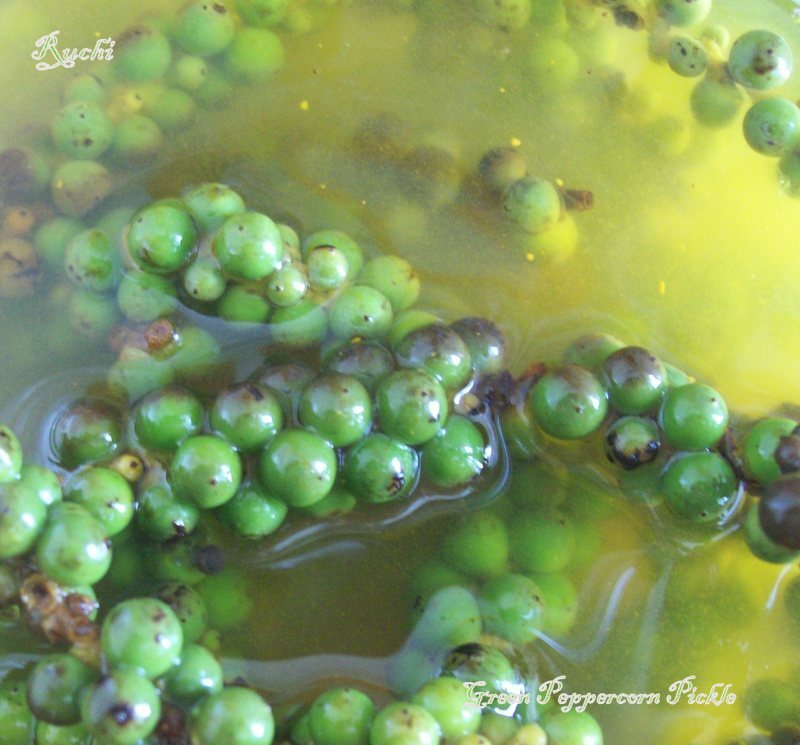 3.Transfer this to a glass jar green peppercorns must be fully submerged. 4.Let it remain for 4 to 5 days. There after this Fresh Green Peppercorns Picklecan be used. This is how it looks after 5 days. It tastes hot, sour and salty. 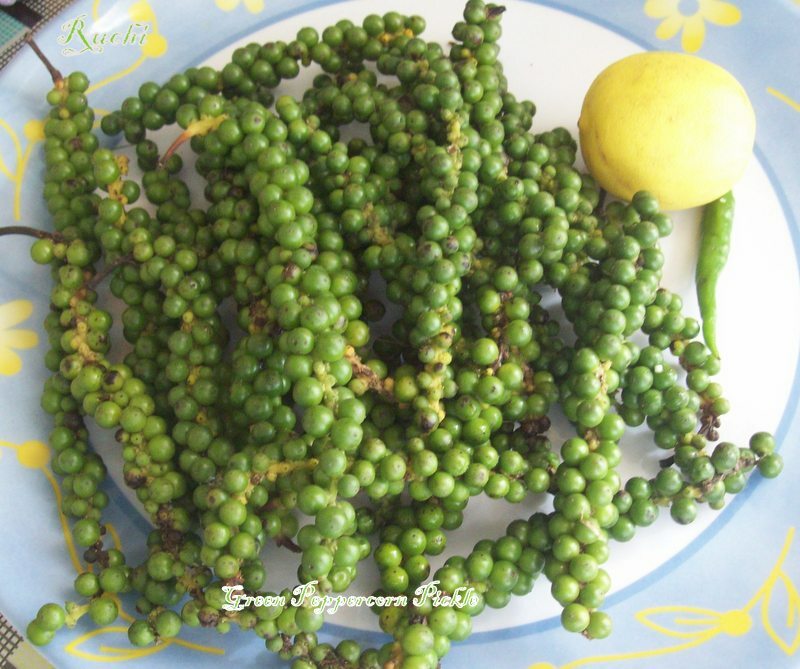 Never cooked this green peppercorn, i have seen them in nearby chinese store,pickle sounds fabulous akka.